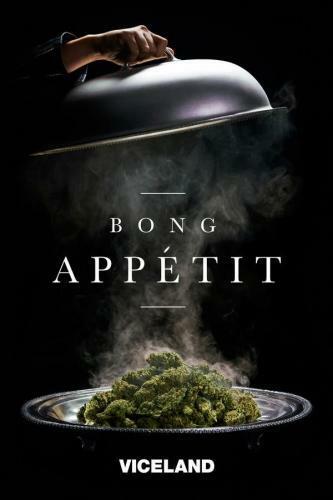 When will be Bong Appétit next episode air date? Is Bong Appétit renewed or cancelled? Where to countdown Bong Appétit air dates? Is Bong Appétit worth watching? Musician George Clinton brings the funk, while B Real, Vanessa and Miguel bring the weed; chefs Dale Talde, Janine Booth and Kevin Gillespie ("Top Chef") bring infused meals in a clash of weed novices. It's an Italian-American showdown between Joe Gannascoli of "The Sopranos," Chef Brad Spence and grandma Josephine Polito as they cook for the judges and guest Jarobi White. Cannabis chefs Leather Storrs, Cody Lindsay and Scott Durrah fire it up in the kitchen and do battle for B Real, Vanessa, Miguel and guest judge Wiz Khalifa. 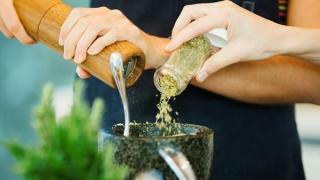 Chefs Nicole Rucker, Kat Turner and Ria Dolly Barbosa compete in making canna-breakfast. Cheech and Chong and gold medalist Hope Solo join B Real, Vanessa and Miguel, as pastry chefs Lori Sauer, Jessica Craig and Luis Villavelazquez mix it up in a sugar battle. 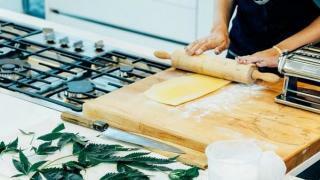 Innovative Korean chefs Deuki Hong, Esther Choi and Han Hwang blow up the competition and prepare dishes for B Real, Vanessa, Miguel, the Dank Duchess and singer Lykke Li. Chefs Diana Sabater, Angelina Bastidas and Guadalupe Guerrero turn up the heat in a Latin cannabis cooking battle featuring guest judge Corey Thomas. Couples Lisa and Chris Binns, and Anna and David Posey go head-to-head in a cannabis vape pairing food fight; comic Doug Benson. The judges are joined by cannabis-loving drag queen Laganja Estranja as chefs Niki Ford, Unika Noiel and Raul Medina battle in a plant-forward cooking competition. The judges choose three chefs to return to the kitchen to fight for the crown; rapper N.O.R.E. and chef Michael Voltaggio guest judge. 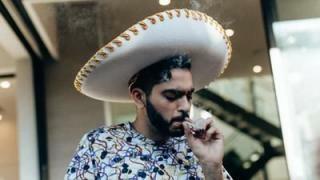 Bong Appétit next episode air date provides TVMaze for you. EpisoDate.com is your TV show guide to Countdown Bong Appétit Episode Air Dates and to stay in touch with Bong Appétit next episode Air Date and your others favorite TV Shows. Add the shows you like to a "Watchlist" and let the site take it from there.